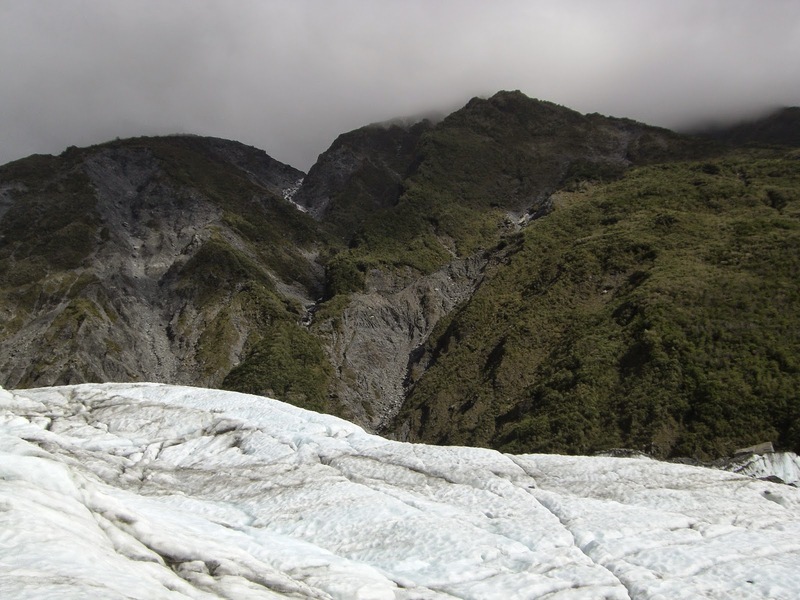 The furthest inland point on Fox Glacier in December 2009. It has retreated far back since then. 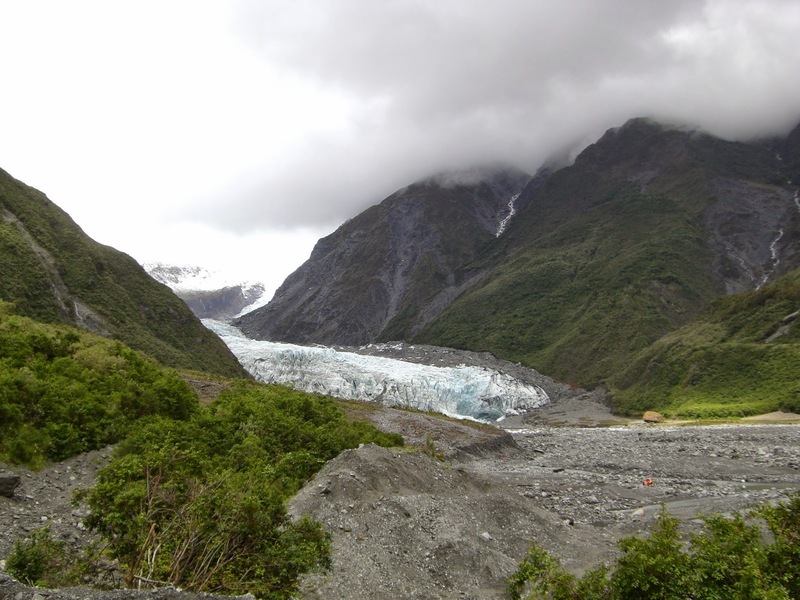 Fox Glacier on the south island of New Zealand can no longer be reached by a hiking trail. 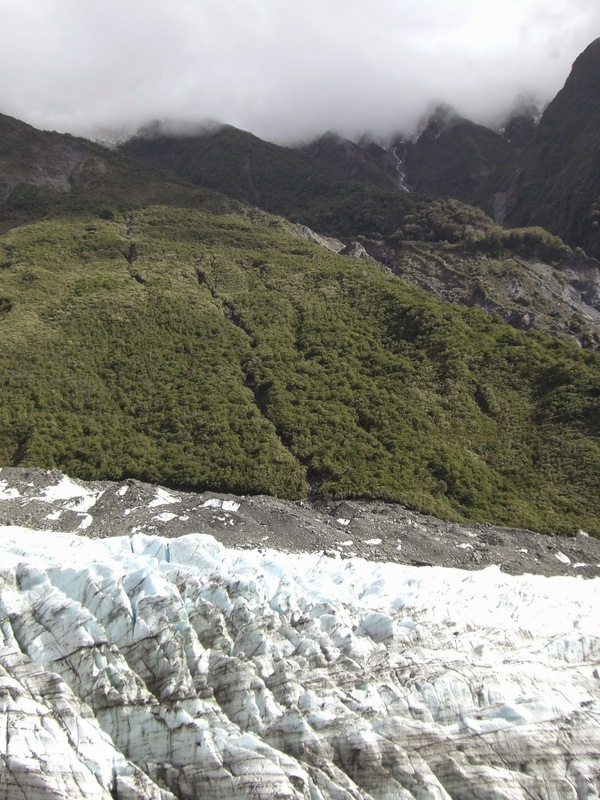 Global warming has caused the glacier to retreat, and if you want to see it now, you have to take a helicopter. 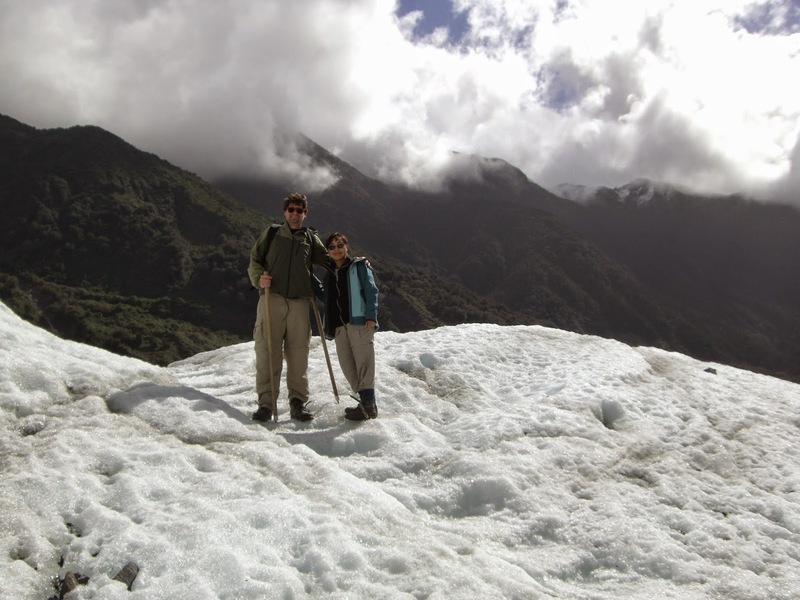 In 2009, my wife and I vacationed on the south island and visited Fox Glacier. We borrowed crampons for some difficult parts, but most of the day's walk we did in our regular winter clothes, bearing just a walking stick with a nail in one end. After seeing the New York Times story about the end of this way of visiting what had been one of the world's most accessible glaciers, I decided to put up some of our photos from the day. Forgive me for departing from the usual wine and food focus here. Let's just start 2015 with some pretty photos of a disappearing world. 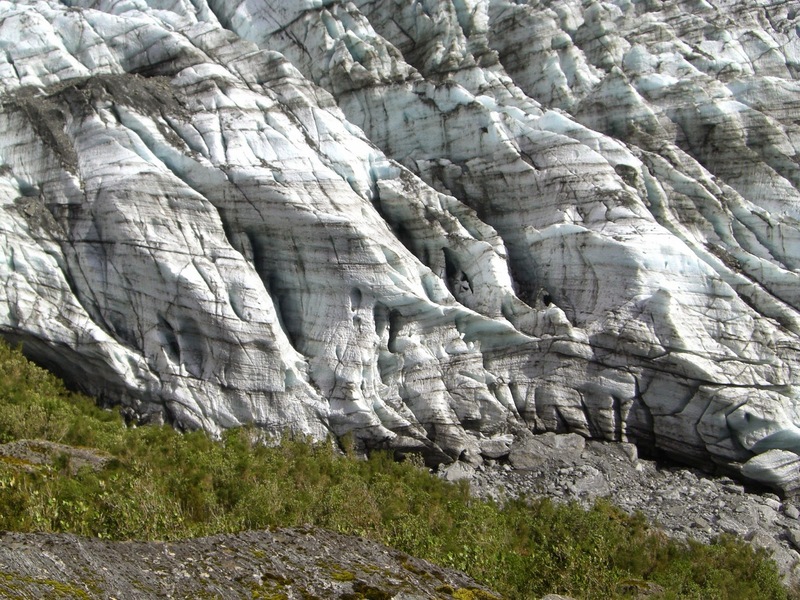 It’s sad to see glaciers disappearing from the world here and there. "It’s Official: 2014 Was the Hottest Year Ever Measured on Earth"